In the dark there are monsters. Bogeymen. “There be dragons.” These are common human psychological reflexes. These reflexes turn into legends, and legends become embroidered into myth. There are two aspects of this question that we need to consider: the reality which is the world around us, the way our minds interpret that reality. 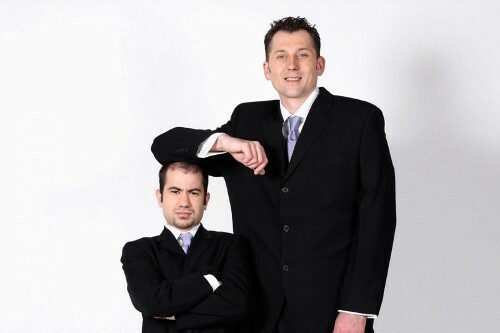 Because of the vicissitudes genetics sometimes people are born who look different from the typical human, whether it be something startling and novel such as having different eye colors (e.g., one blue and one brown), or whether it be at an extreme point along the normal distribution of human variation, being very short or very tall. 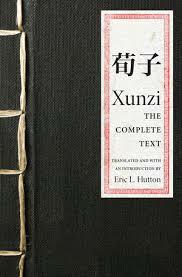 The people called Huns, barely mentioned in ancient records, live beyond the sea of Azof, on the border of the Frozen Ocean, and are a race savage beyond all parallel. At the very moment of birth the cheeks of their infant children are deeply marked by an iron, in order that the hair instead of growing at the proper season on their faces, may be hindered by the scars; accordingly the Huns grow up without beards, and without any beauty. 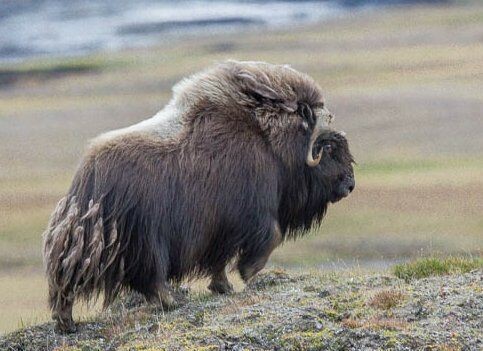 They all have closely knit and strong limbs and plump necks; they are of great size, and low legged, so that you might fancy them two-legged beasts, or the stout figures which are hewn out in a rude manner with an ax on the posts at the end of bridges. Similarly, when Europeans first arrived in East Asia, their light hair and eyes stood out amongst uniformly black-haired populations. They in fact resembled “witches” in Chinese legend, perhaps an ancient remembrance of peoples from the West who settled in northwest China. Perhaps the most extreme cases are those where myth turns to fact. When voyagers first saw chimpanzees and gorillas, the sailors who told of their encounters were assumed to be engaging in exaggeration. 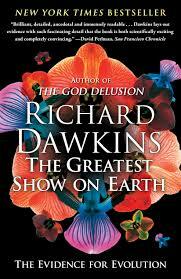 Only the retrieval of a body convinced European scholars of the truth of the existence of great apes. But myth and legend transcend fact. And that transcendence is a feature of human psychology, not the world around us. Myths and legends have some common themes. They are amazing, but not too amazing. 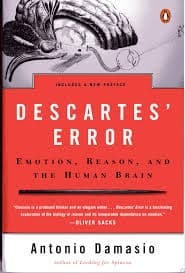 Cognitive anthropologists have noted that many human narratives of myth tend to be minimally counterintuitive. That means that our stories have to be comprehensible, relatable, but also out of the ordinary in some way. This is perhaps one reason that stories of distant people with strange customs and appearances are so common: they are comprehensible, but different enough to elicit wonderment. In their telling these tales can become taller. A tribe which is somewhat taller than their neighbors become giants. If a few red-haired individuals are found in a particular nation, then the whole tribe is described as such. The further and further the tale travels, the stranger and stranger it gets. And amazement can sometimes turn into horror. 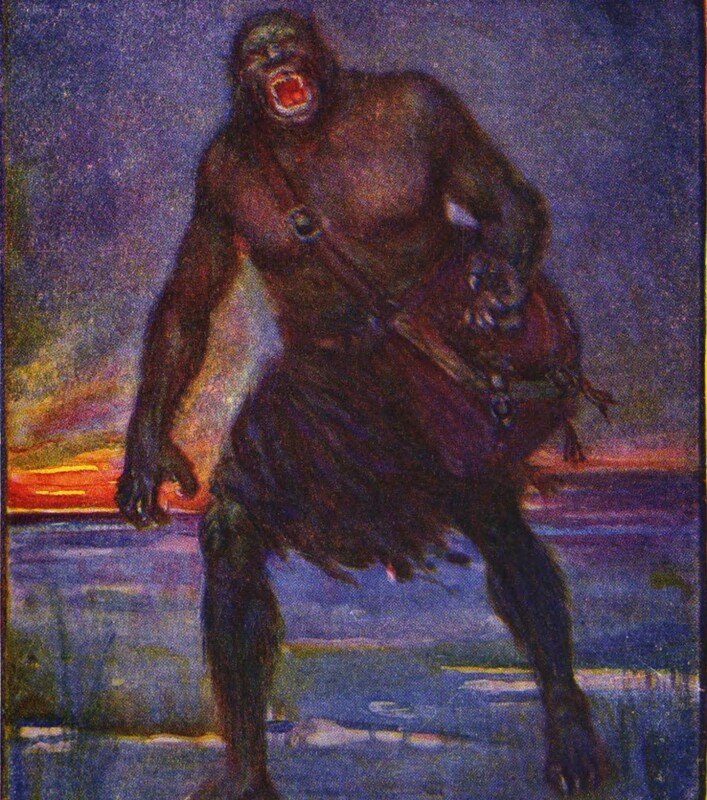 Though cannibalism is historically attested, anthropologists and ethnographers have long observed that other people are described as such, implying that stories of monstrous behavior is simply a way for people to define themselves as different from other peoples with whom they may not have the most peaceful relations. The fear of the dark and the monsters which reside therein may be a reflection of the primal origins of our species, as Paleolithic bands huddled around the fire on the open savanna. The outside world was dangerous, and we banded together for safety. As humans settled down in villages, the forests and the lands over the horizons replaced the ancient dark, and our myths were transfigured to fit with the new human folkways. Creatures of myth and dark was originally published in Insitome on Medium, where people are continuing the conversation by highlighting and responding to this story. This week on The Insight (Apple Podcasts and Stitcher) Razib Khan and Gareth Highnam discuss our impression of the most recent meeting of the American Society of Human Genetics. The ASHG meetings have been putting technology front and center. 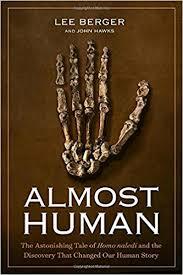 That is because human genetics, that is, human genomics, have been very technology-driven fields of science. 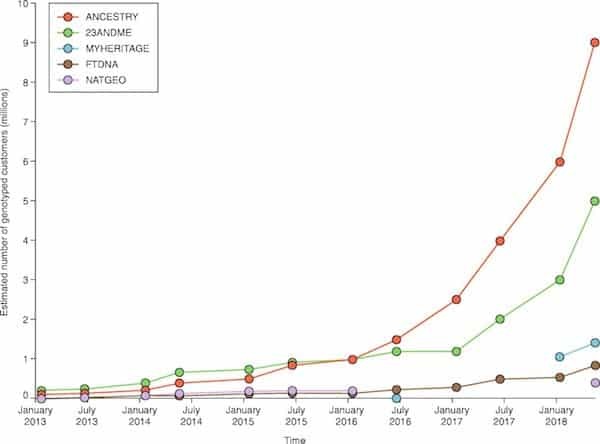 Many of the commercial vendors focus on information technology and data storage, due to the copious production of DNA sequence in high-throughput genomics. There was also extensive discussion about the need to diversify genomics from an ethnic perspective for more accurate medical inference. 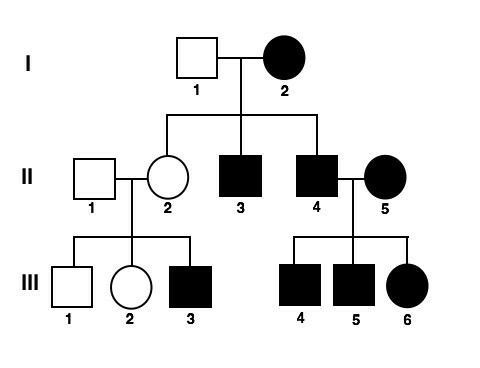 Here’s an article on this topic: Genetics has learned a ton — mostly about white people. That’s a problem. Massive sample sizes and whole-genome analyses have been transforming our understanding of human variation and disease. One area where we saw new results was in the domain of “missing heritability.” See this: Comparison of methods that use whole genome data to estimate the heritability and genetic architecture of complex traits. Many people at the meeting were talking about the intersection of race and genetics, triggered by an article in The New York Times: Why White Supremacists Are Chugging Milk (and Why Geneticists Are Alarmed). Here is the ASHG response: ASHG Denounces Attempts to Link Genetics and Racial Supremacy. We discussed two important results that were novel presented at the conference. Further refinement of the human mutation rate from the sequencing of a well-known pedigree. And, the first GWAS hits that are likely to be replicated for homosexuality. 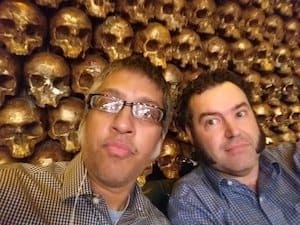 This week on The Insight (Apple Podcasts and Stitcher) Razib Khan and Spencer Wells discuss human genetic diversity, and how it might feed into the myths and legends that crop up around Halloween. We spent a fair amount of time talking about Mendelian mutations. Polydactyly, achondroplasia, and hyperstrichosis. That is, having more than the usual number of fingers, dwarfism, and having hair all over one’s face. Then we talked about normal variation, and how it might also seem surprising to us. In particular, Shawn Bradley’s polygenic risk score for height, which predicted he’d be taller than average. 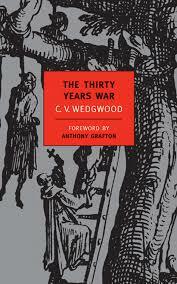 We talked about how the Yamna people might have been taller than early European farmers, and the “wild men” of China. The implications of Xeroderma pigmentosum and albinism were also discussed. 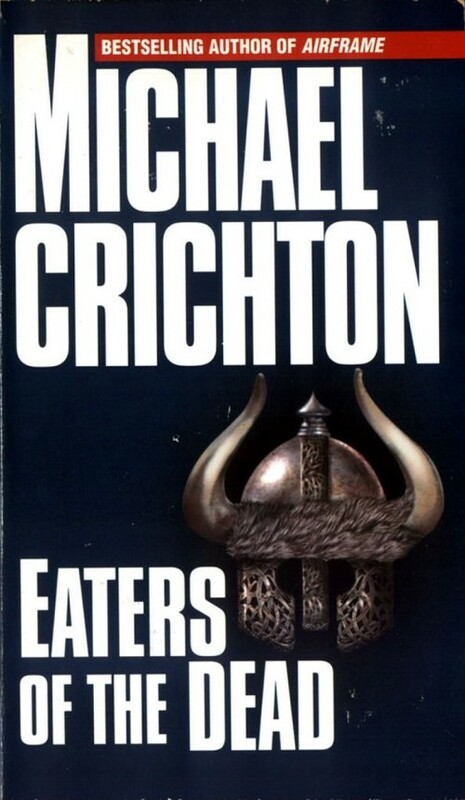 In relation to Neanderthal-human contact, we brought up the Michael Crichton novel Eaters of the Dead, which was also turned into a film, The 13th Warrior. Herodotus and his legends of “troglodytes” were mentioned, as well as the fact that until recently many humans did live in caves and underground. We also discussed the possible connection between centaurs and mounted horsemen, such as the Huns. The implications of the long-term coexistence of farmers and hunter-gatherers in Europe came up, as well as the interaction between the Jomon people and the Yayoi rice farmers in Japan 2,500 years ago. Finally, Razib talked about the importance of “minimal counterintuitiveness” in the formation of story and myth and human psychology. 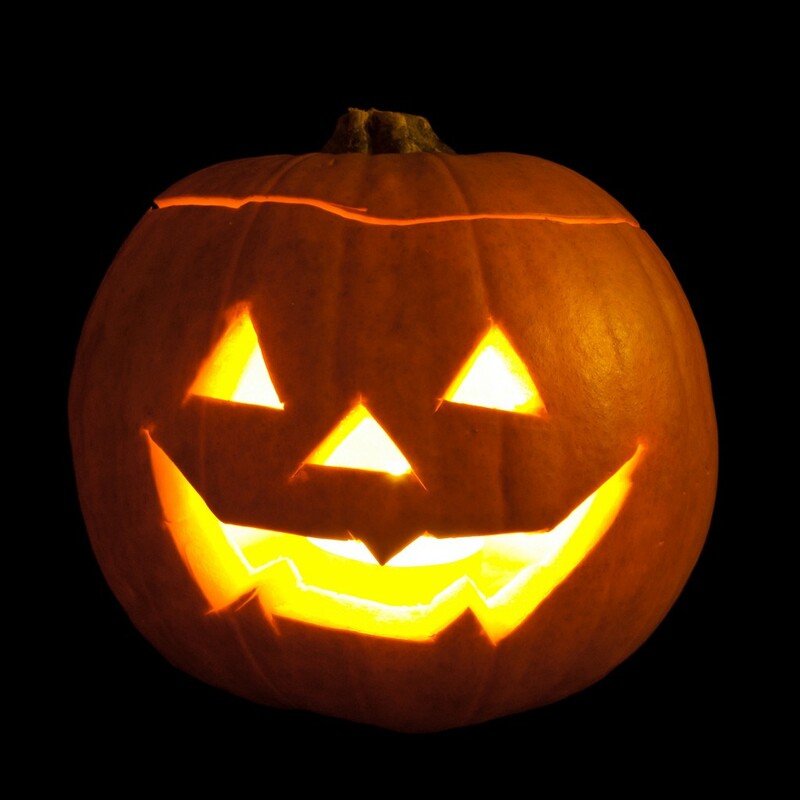 The Insight Show Notes — Season 2, Episode 6: Halloween genetics, fact or fiction was originally published in Insitome on Medium, where people are continuing the conversation by highlighting and responding to this story. Anyone who knows history will realize this is patently false. 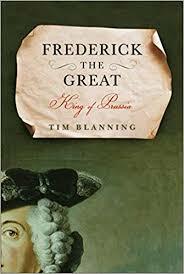 Anyone who is aware of the Taping Rebellion, the October Revolution, or the unrest of 1848. Of course, that “anyone” is a small set of individuals because most people don’t know history. Their minds are devoid of most facts not having to do with the Khardasians. And journalists are not much better. Many of them are in the game of creating stories rather than interpreting the world. 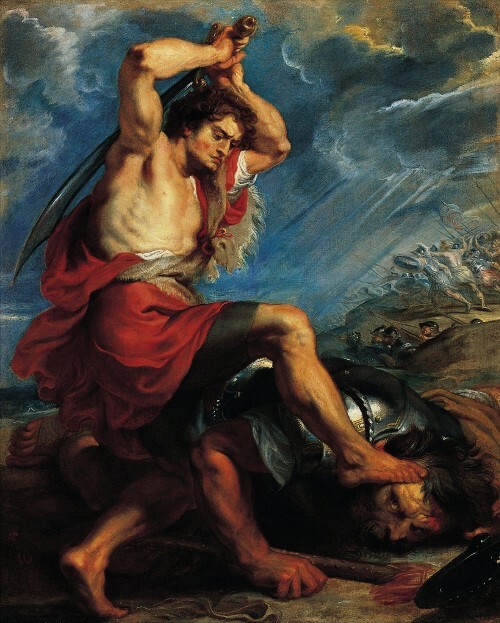 If public relations operatives are well paid propagandists on a short leash, many journalists are poorly paid propagandists compensated with the freedom to be fabulists. 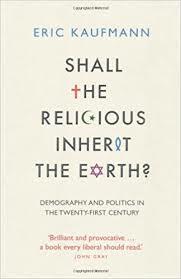 Between 1500 and 1700 population religious identity became strong enough that peoples could resist the interests and whims of their rulers. A collective identity, horizontal and thick, developed which could withstand vertical shocks from the elites. 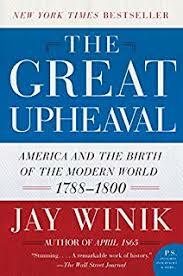 In The Great Upheaval Jay Winik observes that 18th century observers of the emergence of the American republic were skeptical of its sustainability because of its geographic expanse. Ancient republics did not scale well. Democracies and republics were all well and good for city-states, but once the polity became large, it always evolved into a monarchy. The big changes were all pre-modern. 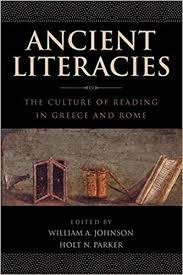 First, there was writing, which allowed for the sidelining of memory, and the persistence of linguistic forms and cultures even after they were no longer spoken by living people (Sumerian and Latin are cases in point). 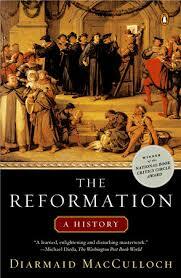 I believe written histories and self-conceptions are qualitatively different from oral ones. Less protean, more stable, and easier to scale across time an space. Then the early modern revolution in printing, paper, and economies of scale allowed for the development of near universal literacy societies in scale and scope. 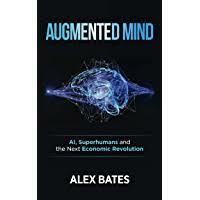 Economic productivity and the demographic transition allowed for the emergence of consumer middle class societies, where the broad middle element of society was all that truly mattered in name if not always in fact. The fact that modern politics is more response to the people means that modern politics is more base, volatile, and often more radical. This is a feature, not a bug, of democratic republics. When the “Arab Spring” was in full swing I predicted that democratic populism would lead to the ascendancy of Islamism and cultural conservatism. Not liberalism. I was right. Democratic republics become less liberal as they broaden their base and sink roots in the populace, because the average voter is not particularly liberal. Ancient hunter-gatherer tribes were not liberal. They enforced strong norms and social taboos. But they were democratic in seeking social consensus within the band. The founder of Pakistan, Muhammad Ali Jinnah was a religious nonobservant Shia Muslim whose grandfather was a Hindu. Though strongly attached to the Muslim identity as a national one, he was not a religious fanatic, and was only nominally Muslim in his beliefs and practices (he drank). But over the last several decades Pakistan has Islamicized the founder of the republic, and transformed itself into something that he likely wouldn’t have ever recognized. The madrassa has come into the halls of power, and forced the elites to conform to its folkways. I’m not a big fan of Hasan Minhaj’s “Millennial smug” style of comedy. What it really reminds me is Brad Stine’s “Christian comedy.” It’s aimed toward ingroups and comes off as tone-deaf and stupid to outgroups. So you know what you’re getting into. That being said, as someone who is Muslim Minhaj has always “gotten” the issue with Saudi Arabia. Most Muslims I have known, from very conservative Salafi types to irreligious cultural varieties, have strange and strong attitudes toward Saudi Arabia. Even the most conservative often have mixed attitudes, because Saudi Arabia may sponsor Salafism worldwide, but no one can deny that the ruling family are hypocrites in their private practice. Believing Muslims though have to admit that the Saudis are currently the guardians of Islam’s holy sites, and, the kingdom provides a great deal of money for various Muslim causes as well as Muslims more generally. And of course, Saudi Arabia has been a source of employment for many Muslims from outside the kingdom for many decades. The fact that we are “having a discussion” about Saudi Arabia as if there is a discussion to have is a testament to the power of money in public discourse, and how one can buy elite complicity. 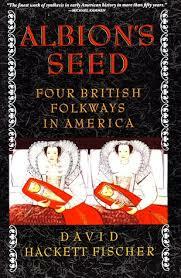 Going back to the Upper Midwest, it is important to recall that this was once termed the “Yankee Empire”. Before 1850 the whites of New England were the most fecund subculture in the United States, and they overflowed to upstate New York, and then the northern swath of Ohio, Illinois, as well as dominated Michigan and the Upper Midwest. Today the Upper Midwest states of Minnesota and Wisconsin are among the least “Anglo-American” predominantly white states because of the high fraction of Northern Europeans. 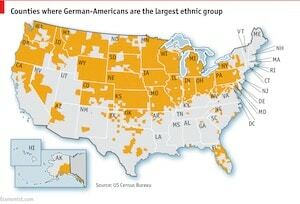 The rise of socialist politics and the persistence of German-speaking communities deep into the 20th century attest to this density of immigrant ethnicities. But, there were cultural affinities between the natives and the immigrant groups, in particular, Protestant Germans and Scandinavians and Yankees. Unlike in old New England, the developers of the Yankee Empire welcomed migration to settle the farms of the Midwest. Though a plain economistic reading works (there was a deficit of labor and surplus of land), I suspect that conflicts between Irish Catholics and Yankees in New England, as opposed to Scandinavians and Germans (many of whom were Catholics) and older Yankees in the Midwest, were functions of contrasts in complementarity and cultural affinity. An opposing case to Northern European complementary with the ethos of the Yankee Midwest is that of Germans (and Swedes and Czechs) in Texas. These immigrant groups were settled in the uplands of central Texas because these were the least fertile lands. 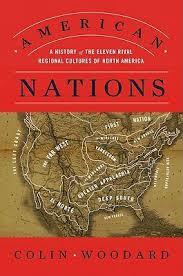 In short, the white Anglo-Texans often cheated the European ethnics because they could. These Northern European Texan groups were much of the source for the progressive and Left-wing populist tradition in the politics of this state in the 20th century. But over time they have by and large assimilated to white Anglo-Texan norms and folkways. That is, they are not much different than the descendants of white British Texans. This goes to show you that numbers matter. 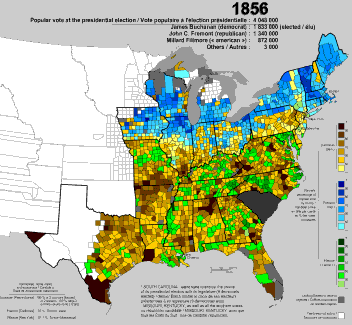 Where in the Midwest the original Yankees were overwhelmed demographically, that did not happen in Texas. Where in the Midwest the Northern Europeans amplified the collective populist moralism of the Yankees, making it more institutional robust with explicit socialism, in the South the Northern Europeans were eventually absorbed into the region’s customary hierarchal individualism. Addendum: The authors of the above paper showed that the mobility impacted blacks as well as whites, indicating that the dominant ethos had policy implications which shaped society on the macroscale. This week on The Insight (Apple Podcasts, Stitcher and Google Play) Razib Khan and Gareth Highnam discuss our impression of the most recent meeting of the American Society of Human Genetics. 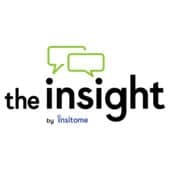 The Insight Show Notes — Season 2, Episode 5: Reflections on ASHG 2018 was originally published in Insitome on Medium, where people are continuing the conversation by highlighting and responding to this story. After reading the supplements to the new Siberian paper I have a few general thoughts that I want to lay out. First, the clines vs. clusters considerations seem to be one we need to revisit. Like the expansion of Native American peoples ~15,000 years ago, it seems that the “Out of Africa” migration pulse happened so quick that a lot of different groups emerged at the same time. 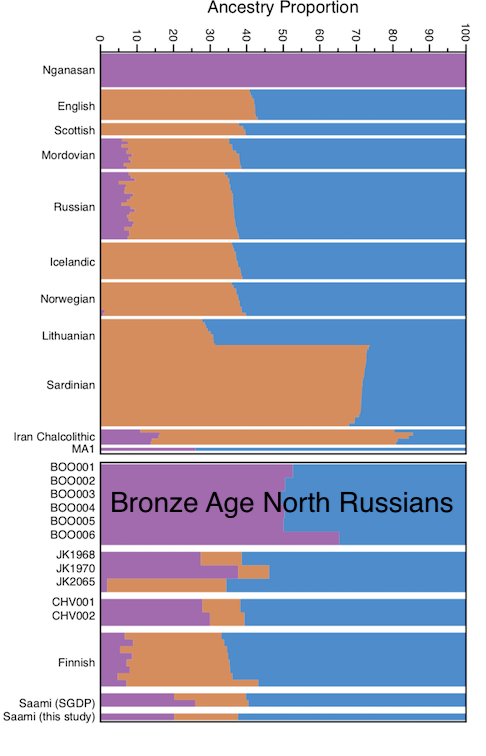 In the new paper the earliest proto-“Ancient North Eurasians” can be modeled as most similar to the West Eurasian branch of humanity (sans Basal Eurasian), but with some minor component affinity to East Eurasians. It could but that this is a function of admixture between the distinct lineages. Or, it could be that there was a fair amount of substructure within the post-Basal Eurasian “Out of Africa” meta-population. The problem with the idea of lots of structure within this population that I see is that it might depend on the plausible effective population sizes. I’d need to know more ethnography than I do, but it seems not impossible for ~10,000 humans to be highly structured in Paleolithic social contexts. But, this would entail a great deal of xenophobia and likely inter-group conflict. Another meeting of the American Society of Human Genetics has come and gone. 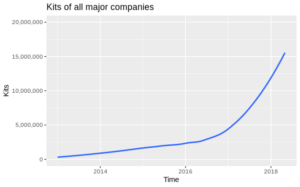 I’ve been going since 2012, and so want to post some observations of how things have changed. This is a big conference. From less than 1,000 people in the late 1970s to nearly 10,000 today. 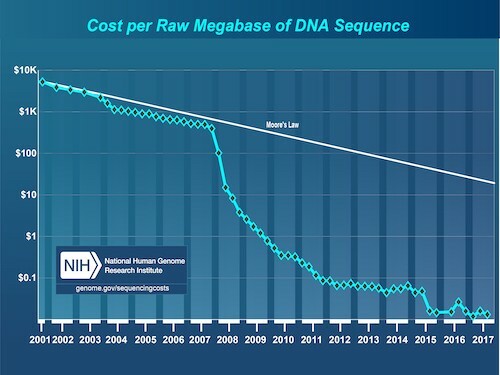 First, more genomics, less genetics. The meeting dates to the late 1940s, and originally focused on the classical genetic analysis of human characteristics. Consider the pedigree one might find in a medical text. Over the past generation more and more of the presentations and posters focus on genomics, surveys of the whole totality of our DNA sequence. This is where medicine and human genetics more generally is moving in any case. 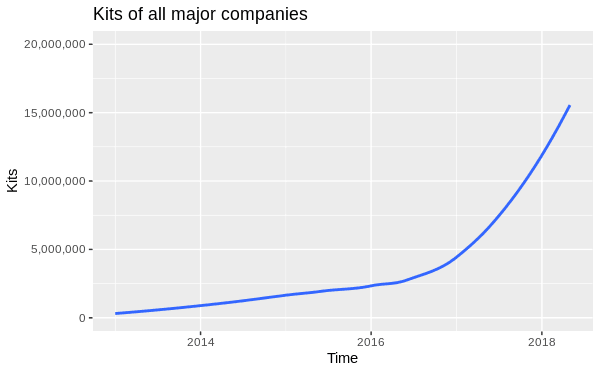 Vendors such as Illumina loom large, but the firehose of data is so powerful that compression companies also arrive at ASHG. 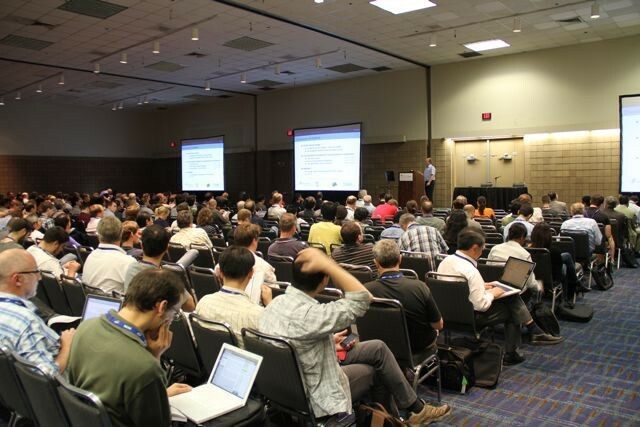 In other words, ASHG is a combination of a science, medical, and tech, conference. Second, a major shift in focus outside of traditional European study populations. 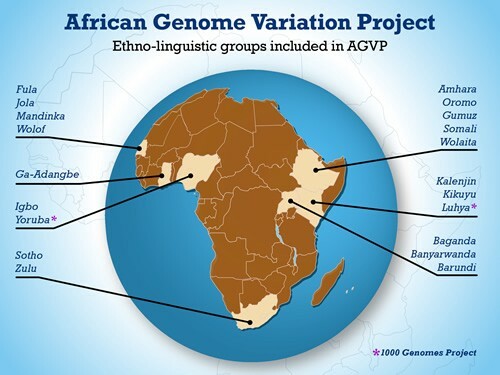 ASHG foregrounded the focus on Africa and other non-European regions to highlight the importance of the capturing of global genetic variation. A fair number of presentations and posters were on this topic, as well as a series of plenary talks. One thing I’ve noticed is that many talks and posters now present data and results which have been posted as preprints. In past years a lot of novel and new results were first presented at the conference, but now the meetings seem to be more like a halfway point between posting the preprint and the publication of the final paper. This means that networking and career development have become as important as the science itself. Probably the most notable result that hasn’t been posted as a preprint was the first robust signals of association between genetic variations and homosexual orientation in men. Though there is a history of these reports, this one is clearly a case where the authors went through all the statistical checks to make sure these are true hits. Some in the audience reacted negatively, but the research group was really careful. 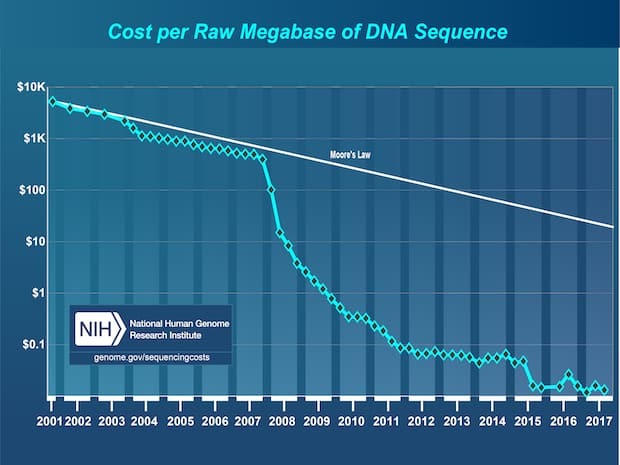 Exciting times in the world of genetics and genomics. Very excited for what 2019 brings. Reflections on ASHG Meeting 2018 was originally published in Insitome on Medium, where people are continuing the conversation by highlighting and responding to this story. This week on The Insight (Apple Podcasts, Stitcher and Google Play) we discussed the prehistory and genetics of the Uralic peoples, with a particular focus on the people of Finland, who are among their most numerous exemplars. 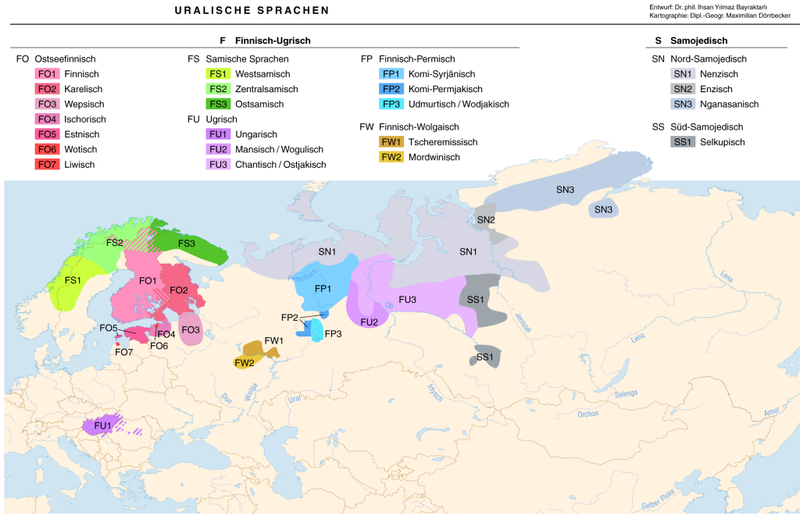 We mentioned that the Uralic languages have a northern distribution, extending from north-central Siberia to northern Europe. We discussed the past 20 years of debate on the origin of the TAT-C/N1c Y chromosomal haplogroup. This male lineage is found at high frequencies all across the northern fringe of Eurasia, and in particular among Uralic populations. Here is an early paper on the topic: Genetic relationships of Asians and Northern Europeans, revealed by Y-chromosomal DNA analysis. If you want to know the origin of the name “TAT-C”, listen to the podcast! Spencer tells you. There was a lot of discussion about Uralic culture. For example Kalevala and blood sausage. 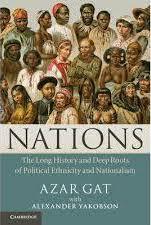 The eastern Baltic was also one region where farmers from Anatolia never migrated. See The genetic prehistory of the Baltic Sea region. 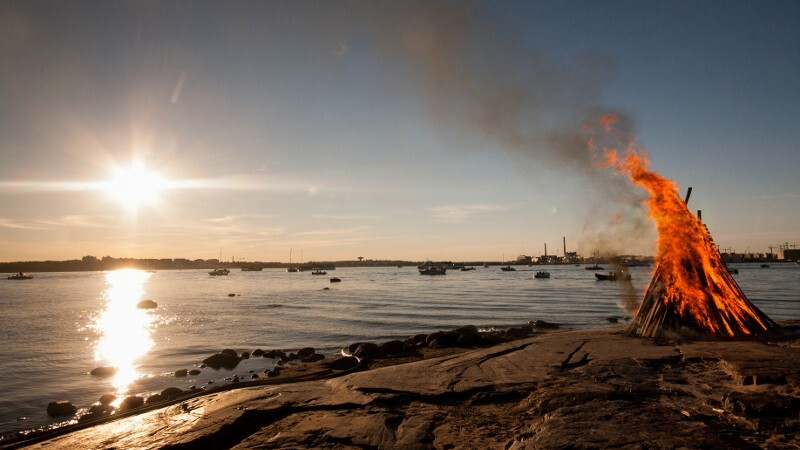 The Insight Show Notes — Season 2, Episode 4: Finnish Genetics was originally published in Insitome on Medium, where people are continuing the conversation by highlighting and responding to this story. Since the development of agriculture 12,000 years ago, the cultural and genetic landscape of our world has been transformed by the emergence of peasants as the dominant demographic. For most of the recorded history, the average human was a peasant; a laboring tiller of the soil. There were of course exceptions. Some peoples took up pastoralism. Others specialized in extracting resources from the sea — such as fisherman. 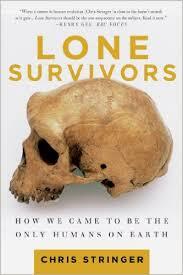 And of course, there were hunter-gatherers who continued to practice a lifestyle as old as the human race itself. Though we often think of hunter-gatherers in a tropical context, the reality is that some of the most successful practitioners of this lifestyle have flourished in and around the Arctic. Not only have they flourished, but they have vastly expanded! For instance, the Thule culture of North America famously replaced the Norse agriculturalists of Greenland in the 15th century. Citation: Tambets, Kristiina, et al. “Genes reveal traces of common recent demographic history for most of the Uralic-speaking populations.” Genome biology 19.1 (2018): 139. Over twenty years ago researchers noted that one particular Y haplogroup lineage, N1c, was very common among Uralic peoples. Notice the overlap in distribution between this lineage and the Uralic populations below. The question then emerges: did the Uralic peoples come from the east, into northern Europe, or were they indigenous to northern Europe and expanded eastward? 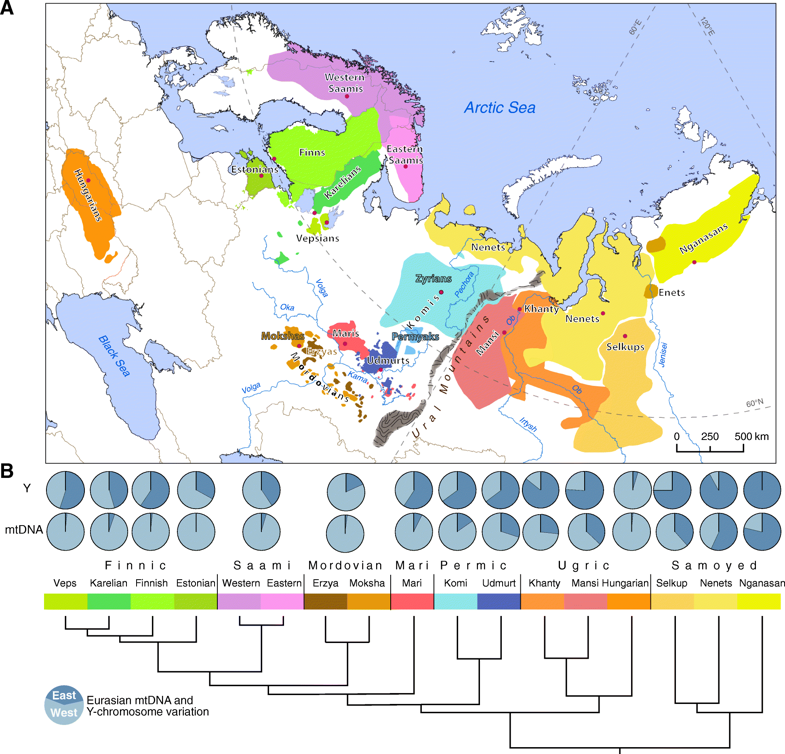 Examining patterns of genetic diversity indicate that this Y chromosomal lineage emerged in Siberia and later spread to northern Europe. Why? 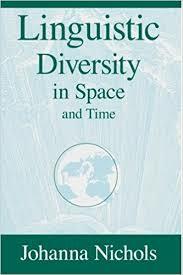 Because diversity accumulates in regions where the lineage has been present the longest. Citation: Lamnidis, Thiseas Christos, et al. 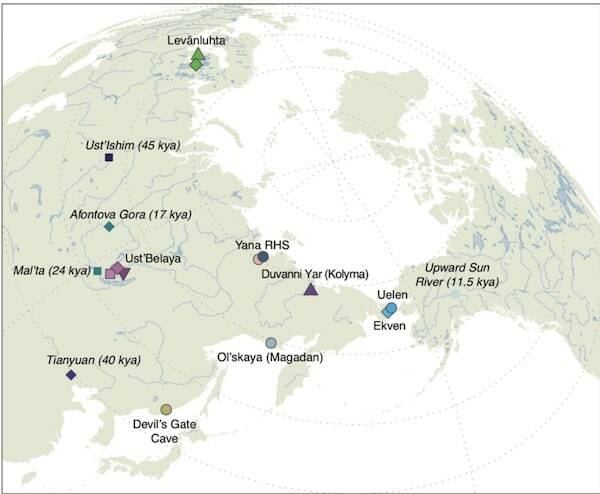 “Ancient Fennoscandian genomes reveal origin and spread of Siberian ancestry in Europe.” bioRxiv (2018): 285437. New research from ancient DNA has clarified the timing of the arrival of these Siberians, Ancient Fennoscandian genomes reveal origin and spread of Siberian ancestry in Europe. What we do know from modern genetic variation is that the Uralic people, including the Finns, seem to have recent Siberian affinities. In contrast, most other Northern Europeans do not have this — making it even more distinct. 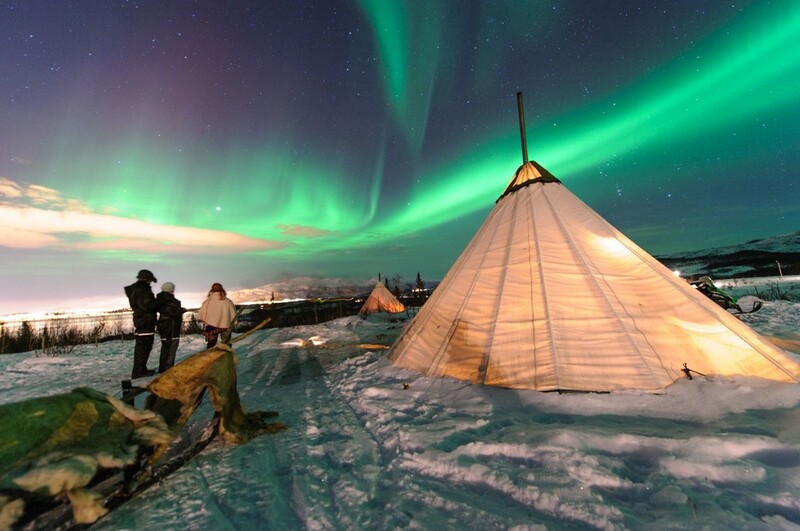 This Siberian affinity is strongest in the Sami hunter-gatherers of the far north. Samples from a population in the Kola Peninsula of northern Russia from to 3,500 years ago yielded individuals who were even more Siberian than the Sami — as you can see in the admixture plot to the left. 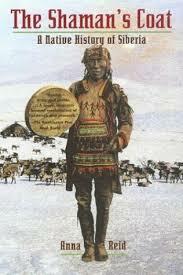 In particular, the Siberian ancestry of the Finnic people seems to be similar to that of the Ngananasn people of the Taymyr peninsula in Russia. Looking at patterns within the genome of these ancient people, researchers have concluded that these people are the product of mixing between Siberians and indigenous European hunter-gatherers, which began to occur ~4,000 years ago. This aligns with other work that suggests that the Ceramic Comb Culture, the dominant Mesolithic hunter-gatherer society of northeast Europe before the expansion of agriculture, lacked Siberian ancestry. Where does this leave us? If we use genetics as a guide, it seems that around ~4,000 years ago a migration of Arctic hunter-gatherers swept out of the northern fringe of Siberia to the west. These people were likely related to the easternmost of modern Uralic peoples: the Samoyed tribes. 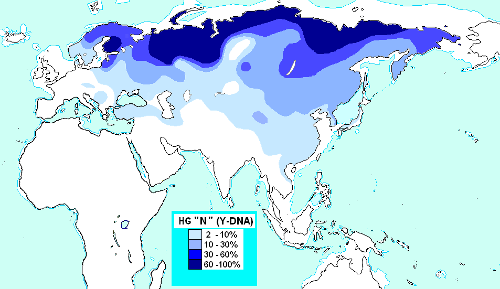 The Y chromosomes of western Uralic peoples, such as the Sami and Finn, carry the hallmarks of ancestry similar to the Samoyeds. But the mitochondrial lineage is almost wholly similar to their European neighbors. 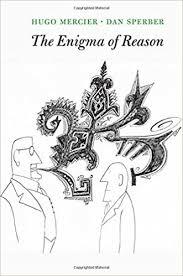 Therefore, it seems that the spread of Uralic languages westward was due to the migration of males. One of the implications of these conclusions is that the Uralic languages may have arrived in the Baltic after the Indo-European languages! 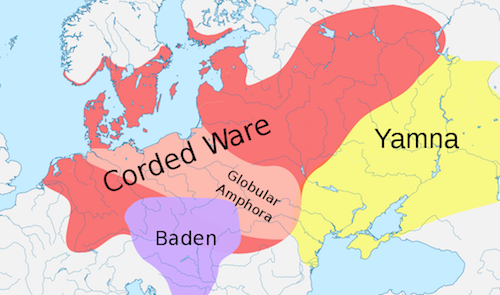 In much of Estonia and southern Finland, the Corded Ware culture, presumed to be associated with Indo-Europeans, predates 2000 BC by centuries. Though we often imagine that history and culture move in a singular direction, toward agriculture, the Uralic people may be an instance of an exception. If it is correct that hunter-gatherer Siberian men moved into large areas of northeastern Europe, and culturally assimilated more numerous peoples, some of whom were agriculturalists, it may indicate that the trajectory of history is more winding and complex than we may imagine. 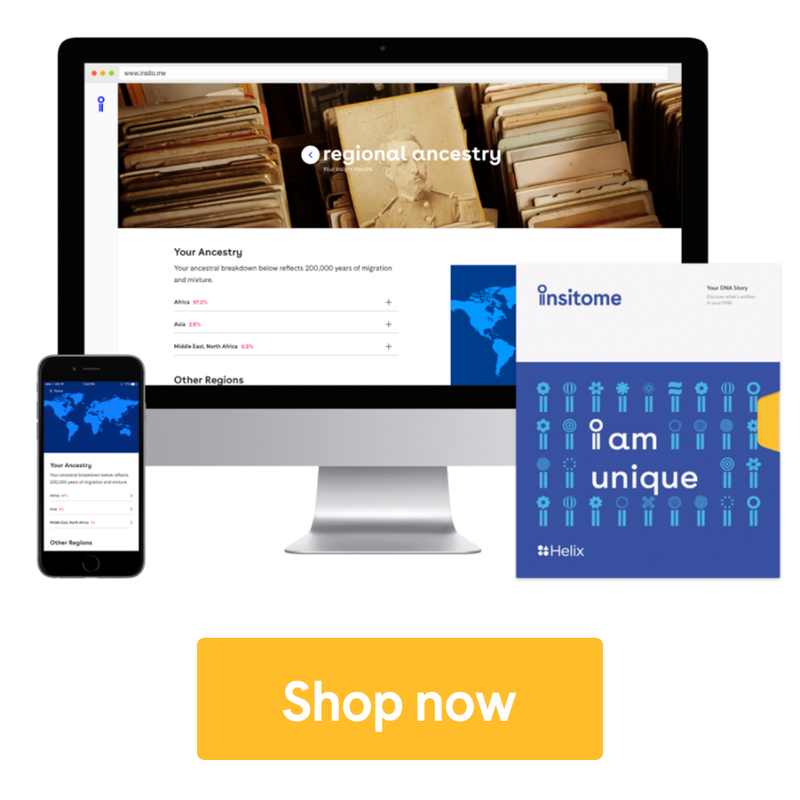 The expansion of the polar people was originally published in Insitome on Medium, where people are continuing the conversation by highlighting and responding to this story. The proportion of ancestry is not large. But it is clearly there. They compared to the Utah white and British European 1000 Genomes populations, which is a good standard for Old Stock Anglo-Americans. 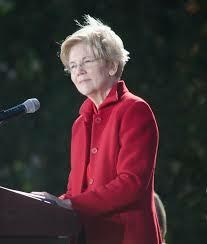 She’s clealry an outlier, with about an order of magnitude more “Native American” ancestry. So it’s unlikely to be some artifact. Comments Off on Elizabeth Warren carries Native American DNA – she’s running! I’m listening to John Keegan’s A History of Warfare on Audible. To be honest I think I’m much better at reading than listening. This should be surprising. In courses, I generally prefer to learn from the textbook as opposed to listening to lectures. And I have a lot of experience reading over my lifetime. Less so listening.